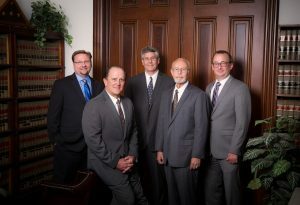 To learn more about our firm members click on the links below. 201 South Fifth Street St.
Suite 204, Chesterfield, MO 63005. The law offices of Federer & Federer, P.C., located in St. Charles and St. Louis, Missouri, serve clients in St. Charles County, St. Louis County, Franklin County, Lincoln County, and Jefferson County; including the cities of St. Louis, St. Charles, St. Peters, O\’Fallon, Chesterfield, Ballwin, Wildwood, Florissant, Kirkwood, Warrenton, Wentzville and Clayton. I could not have been more pleased. It was a ridiculous case but none the less needed to be addressed.